← A very special thanks to all those who are contributing their time and money to Saturday’s Art Show! Click on images below to view larger. Congrats to all our award winners! 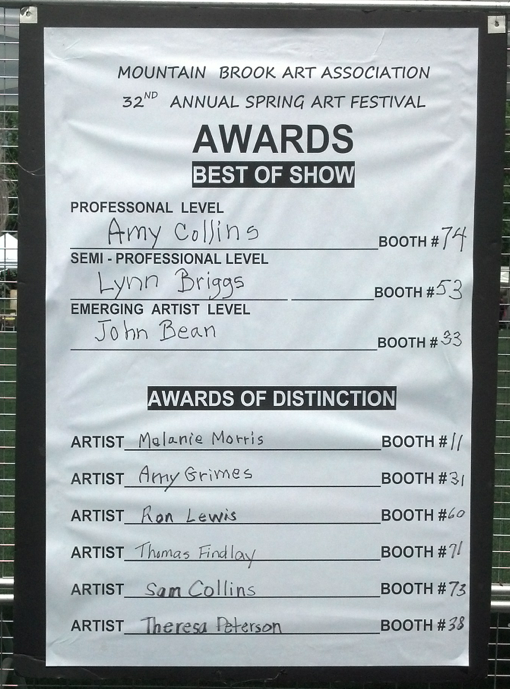 This entry was posted in Announcements, Artist News, Spring Art Show and tagged 2013, Amy Collins, awards, best of show, john bean, Lynn Briggs, Spring Art Show, spring festival. Bookmark the permalink.